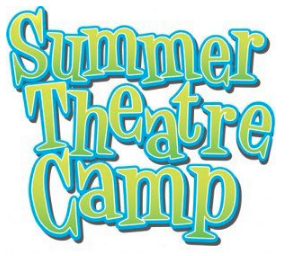 On July 2, 76 children ages 7-14 started their four week Summer Theatre Camp experience at Amity High School, and this Friday, the community is welcome to the annual summer camp musical review. Enjoy the campers’ singing and dancing as they show off the skills they’ve honed this month under the leadership of Rob and Andrea Kennedy and Amity Theater assistant counselors. Families are always looking for fun things to do in the summer, right? So, come to Amity High School this Friday, July 27 at 7 p.m. and cheer on some of Amity’s future entertainers. Admission is free, bring the whole family. 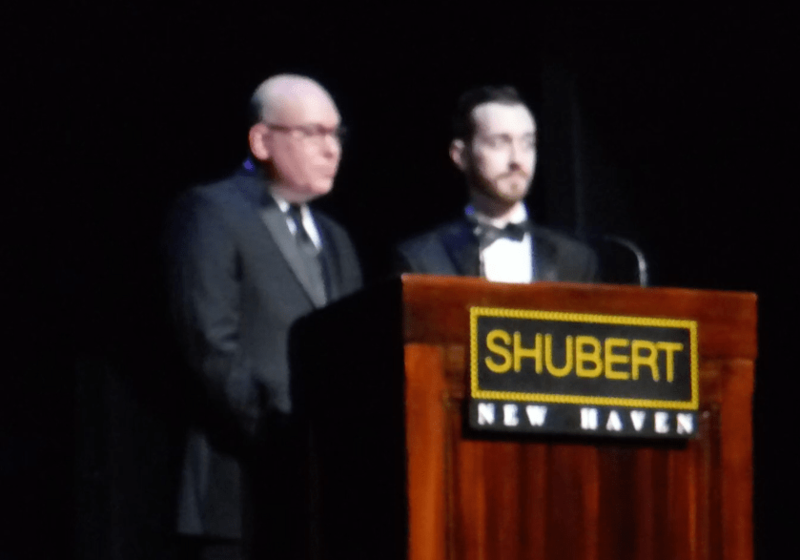 The First Annual Stephen Sondheim Awards Show took place at the Schubert Theater in New Haven on Monday night. The show was run more like the National “Jimmy” High School Musical Awards rather than the old CT High School Musical Theater Awards show. Instead of having each Best Actor and Best Actress nominee sing a full 3-4 minute solo of one of the songs from the show. Early in the show, ALL of the Best Actor nominees came onstage together, and one by one shared a portion of their song for about 1 minute, then joined the rest as background singers. Later the Best Actress nominees did the same. Last weekend, the 14 Actors and Actresses were treated to a three-day intense workshop, during which they worked with professional choreographers, actors and singers and went over every aspect of stage performance. The boys’ and girls’ group routines were developed at this workshop. And, as the Best Actor winner stated in his acceptance speech, they all became friends. There was no rivalry whatsoever and they were cheering for their peers. 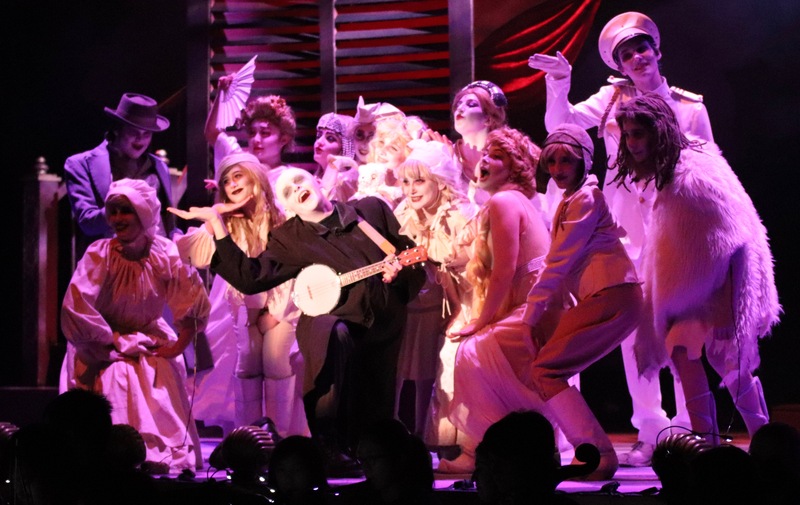 Amity High School’s production of “The Addams Family” was up for 8 nominations. 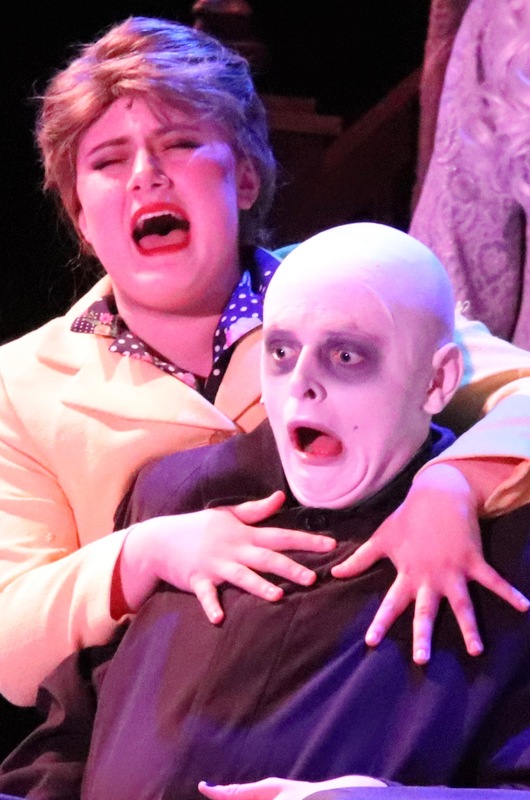 Our wonderful Marty Gnidula was quite the standout as Uncle Fester performing onstage with 6 other Best Actor nominees. He stayed in character and made everyone laugh with the brilliantly executed choreography. Alaina Dwyer and Lilli Querker joined 5 other Best Actress nominees and both were just fabulous. The cast of the Addams Family, in my opinion, was the most together ensemble of all the Best Musical Nominees. They nailed it. So, as you go down the list you will notice that of the 8 nominations, Amity only brought home 1 (one) award. Were they disappointed? Upset? Keep reading until you see just what they won. Yes, that’s right, folks, we are thrilled to announce that Amity earned its SECOND “BEST MUSICAL AWARD” (one for the CT High School Musical Theater Awards and one for the inaugural Stephen Sondheim Awards). That’s the big Kahoona, the prize of all prizes, the most coveted award of all. And Everyone from the parents to Principal Anna Mahon, to the actors and directors, were beaming with pride at the end of the show. Darien High School, appears to have been the big winner of the night with multiple awards, followed by Shelton High School, but the BIG ONE belongs to Amity. Aside from going to the National Competition in New York City later this month, Best Actor winner Cooper Cardone and Best Actress Winner Teah Renzi each received a scholarship to the BMA Summer Camp — It will be a very exciting summer for both of these wonderfully talented students. We wish them the best in the future. This was a very good night, indeed. 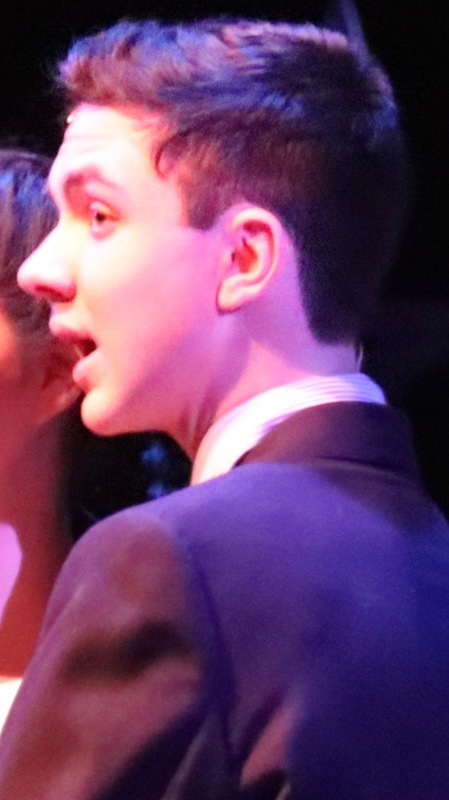 Thank you again to Orange Native, Amity Alum Connor Deane and his Broadway Method Academy for bringing a High School Musical Awards Night back to Connecticut. 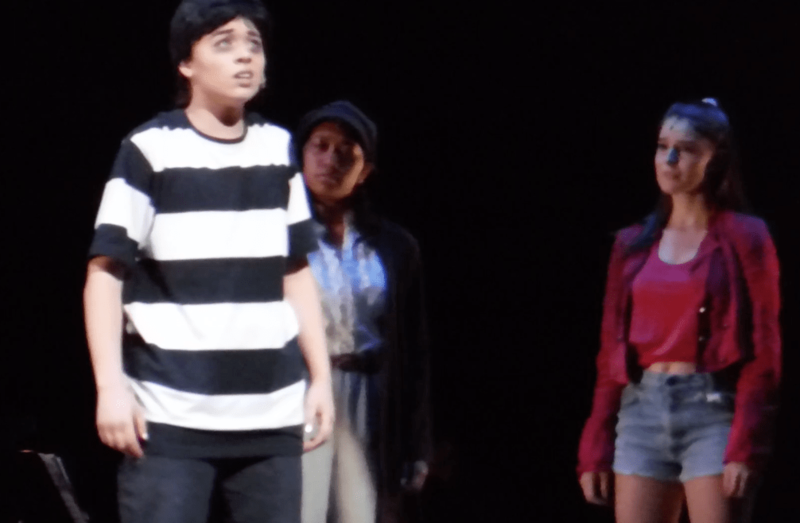 The first Annual Stephen Sondheim Awards will take place at the Shubert Theater, 247 College Street, New Haven tonight at 7:30 p.m.
Amity Has THREE of its fine actors vying for the Best Actor/Actress title and an opportunity to compete in the National High School Musical Awards. 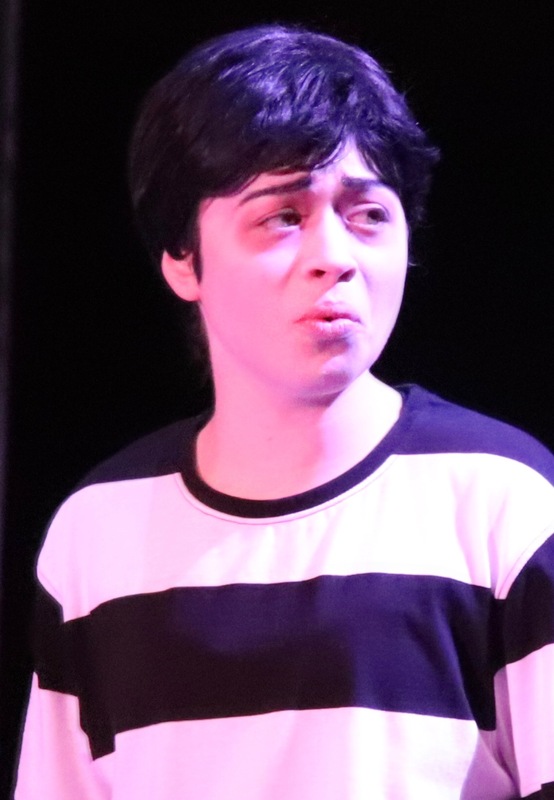 Best of Luck to Marty Gnidula – Uncle Fester for best actor, Alaina Dwyer – Alice Beineke and Lilli Querker in the best actress category for The Addams Family. We can’t wait to see you perform tonight. The Addams Family is up for the Outstanding Musical Award. In addition, Ryan Kennedy is nominated for his supporting actor role of Lucas. Best choreography – Andrea Kennedy. Best Directors – Rob and Andrea Kennedy. Best Costume Design – Marissa Proto. I will give a full update after the show. Until then, Everyone send out Positive thoughts to our extended “Addams Family” group. We MUST have someone go to the Nationals again this year!!! And once again, thank you Connor Deane and your business for giving our kids this amazing opportunity to shine! As Always, Judy Primavera and the Jamie Hulley Arts Fund for your participation. 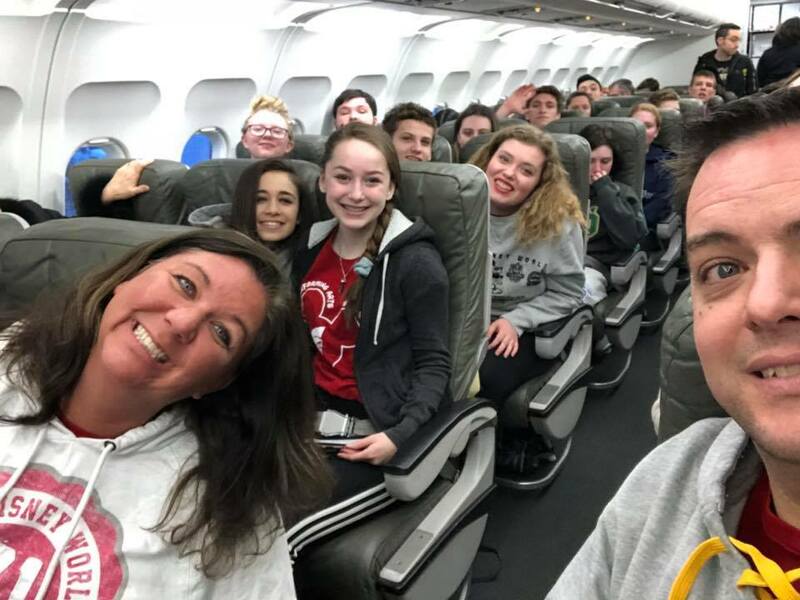 Theater Directors Andrea and Rob Kennedy and their Theater kids on the plane. It’s become somewhat of a tradition at Amity High School. In the Theater Department, after 6 months of daily rehearsals, a dress rehearsal before a small audience, and 5 performances before a full house, a cast party after the final show, and plenty of tears, the group takes a full day on Sunday to recuperate, then they head off to New York for an early morning flight to Disney World in Orlando, Fla., where they will perform onstage for Disney guests, and maybe have time to take in some of the sights. This year’s cast of “The Addams Family” flew out this morning for their latest adventure. We hope they are having better weather during this April Vacation than we’ve got here in CT.
Have a safe flight and have fun! Orange Live will have updates on this trip in the coming days. They arrived safely on Monday afternoon. 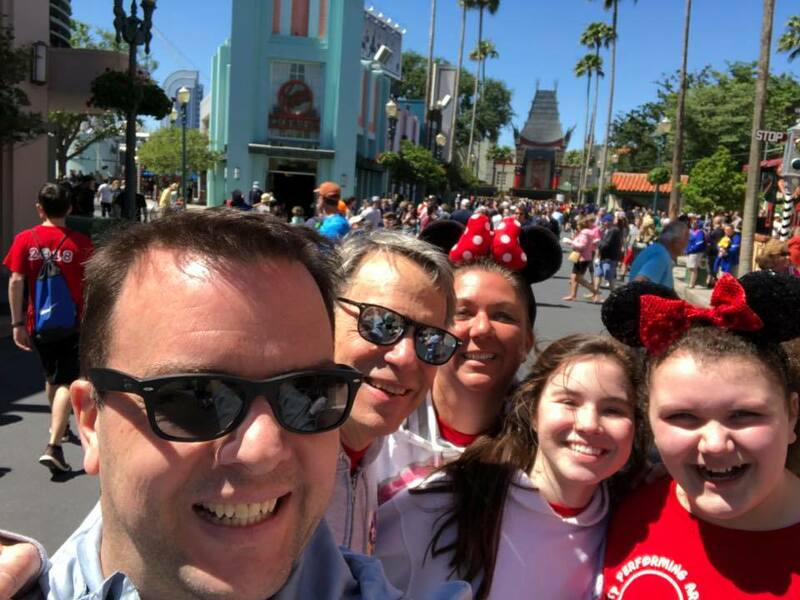 The Amity troupe will perform at Disney Springs on Thursday, April 19 at 5 p.m. If you are reading this, then you are familiar with Gomez, Morticia, Wednesday, Pugsley, Uncle Fester, Lurch, Thing, and my personal favorite, Cousin Itt. The Amity Creative Theater Department began auditioning actors for the production on Tuesday, January 2, and Director Rob Kennedy is extremely enthusiastic about it. A huge smile came across everyone’s favorite retired teacher Debbie Davis’s face as she demonstrated the “Bunny Hop” for Athletic Director Ernie Goodwin in the corner of the gym. 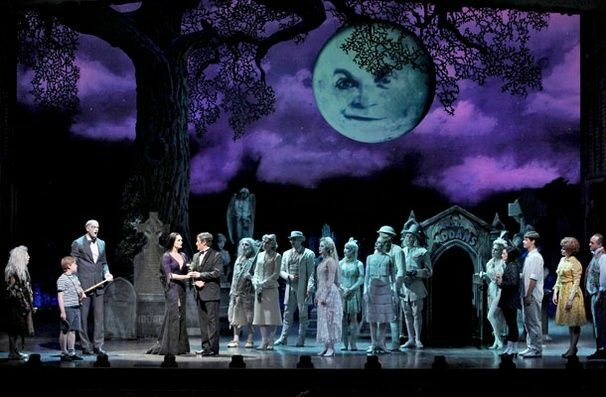 — Oh to see the two of them on stage as guests at one of the Addams’s fabulous balls! “It’s going to be fun,” Kennedy said. 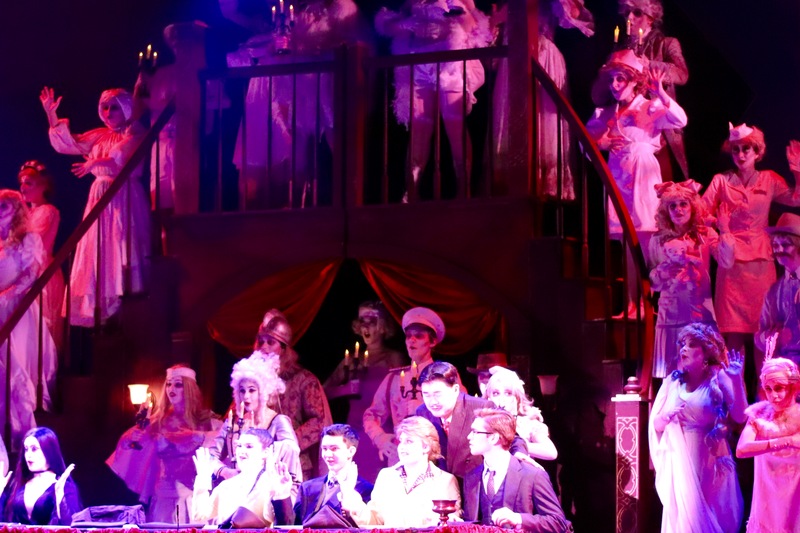 He added that many of the theater students graduated last year, so there is a large pool of fresh faces for theatergoers to discover and enjoy, starting with this production. 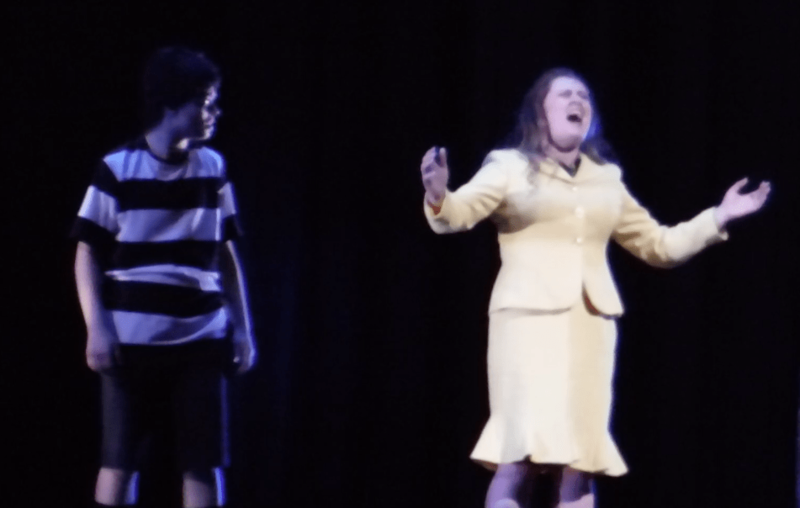 And get ready to see the Amity production of the Addams Family Musical this Spring! I can’t wait to see what Dan Hassenmayer comes up with for the lighting on this show. “RUBIX KUBE – the galaxy’s most original ’80s tribute band” and their EIGHTIES STRIKES BACK SHOW – headlines the Jamie A. Hulley Arts Foundation’s fifteenth annual Evening for the Arts Gala Benefit on Saturday, September 9, 2017, at Fairfield University’s Regina A. Quick Center for the Arts. The performance begins at 7 p.m. and is preceded by an Evening for the Arts reception at 6 p.m., which includes complimentary wine and beer, a dessert bar and silent and live auctions. Tickets are available through the Quick Center Box Office: (203) 254-4010, or toll-free 1-877-ARTS-396. (1-877-278-7396). Tickets are $45 in advance or $50 at the door. RUBIX KUBE and their EIGHTIES STRIKES BACK SHOW is a one-of-a-kind, interactive ’80s time warp extravaganza. RUBIX KUBE is led by a male and female dynamic duo of karma chameleons, able to transform in-the-blink-of-an-eye into the voice and character of any ’80s icon. Madonna, Michael Jackson, Prince, Devo, Bon Jovi, Guns N’ Roses, Van Halen, Aerosmith and more! Their supporting sidekicks are some of the most excellent and versatile musicians around, including Steve Brown of the million-selling Rock band TRIXTER and David Z from The Trans-Siberian Orchestra. All are decked out in vibrant, vintage ’80s threads and with enough hairspray to take down Freddy Krueger, The Terminator, and all The Gremlins at once. The KUBE is able to crank out Pop, Rock, New Wave, and Dance hits from the decade of decadence, and perform them just like the originals – yet with their own gnarly twist. This fast-paced, exhilarating show is truly a most AWESOME ‘80s experience. 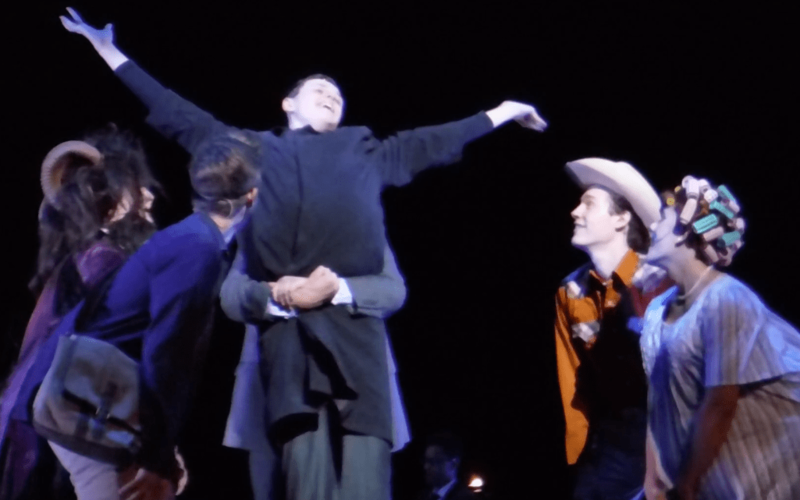 The Gala also showcases the talents of young aspiring performers involved in the foundation’s programs at Square Foot Theatre in Wallingford, Amity High School’s Creative Theatre, and Broadway Method Academy in Fairfield. The Master of Ceremonies for the evening is Jared Brown, Artistic Director of Square Foot Theatre with Amity Creative Theatre’s Rob and Andrea Kennedy and Broadway Method Academy’s Connor Deane & J. Scott Handley serving as co-hosts. 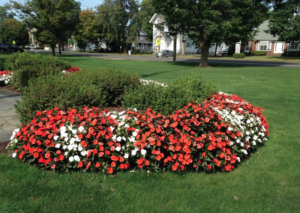 The Jamie A. Hulley Arts Foundation is a non-profit organization dedicated to the educational enrichment and professional development of young artists and early career professionals, was founded to celebrate the memory of Orange, CT, resident Jamie Alaine Hulley. All proceeds from the Gala are dedicated to scholarships, educational programs and grants in the arts throughout Connecticut especially in the greater New Haven and Fairfield counties. Since the foundation’s creation in 2002, nearly 750,000 in scholarships and grants have been awarded which have touched the lives of thousands of area youth each year. For information on the Jamie A. Hulley Arts Foundation, visit www.jamiehulleyartsfund.org, call (203) 891-8869, or email: jamieart@snet.net.